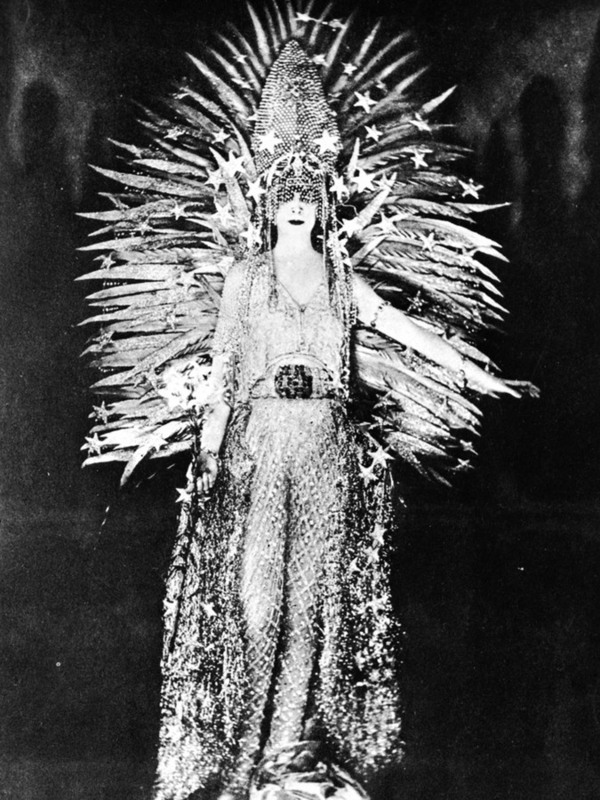 Happy birthday to the eccentric Italian aristocrat Marchesa Luisa Casati, born on this day in 1881. 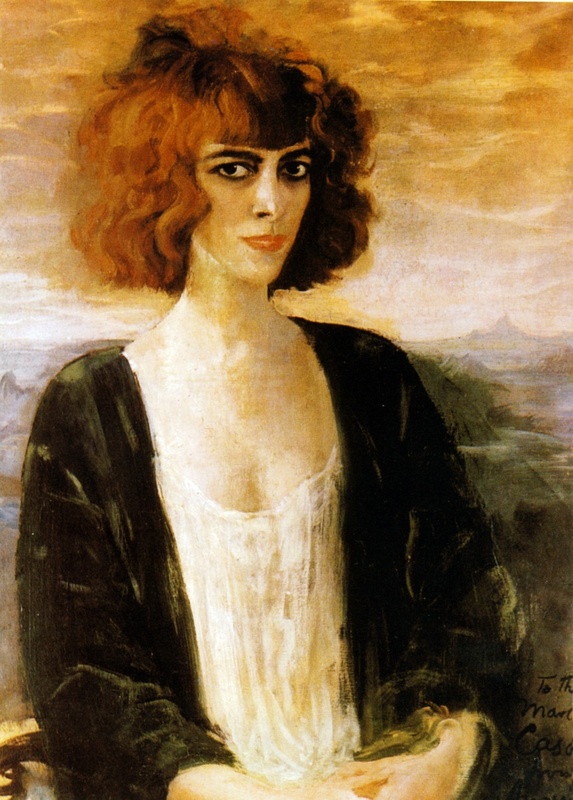 With her bright red hair, large eyes and pale skin, Casati cast an equally striking and intimidating figure. The undeniable predecessor for today’s Lady Gaga-types, she repeatedly shocked polite European taste with her audacious, unbridled approach to self-ornamentation. Animals, alive or dead, were favorite accessories to the Marchesa’s avant-garde fashions as well as the dramatic costumes she wore to her many famous masquerade balls. At one ball, she wore a diadem of peacock feathers dripping with fresh chicken blood. At another, she appeared as a golden goddess leading a peacock on a leash. 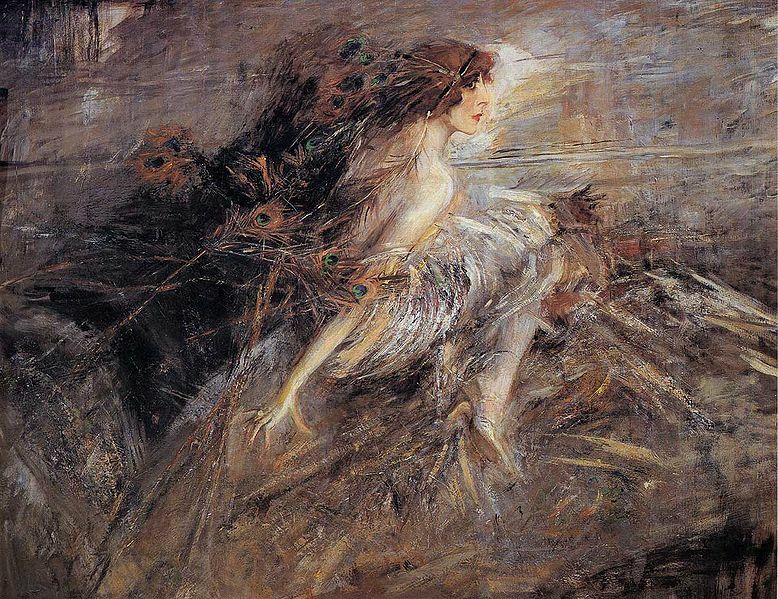 Nothing was too bizarre or too fantastical for a woman who declared: “I want to be a living work of art.” Indeed, the Marchesa commissioned numerous portraits of herself over her lifetime, from the leading artists of the day. Thus, leaving us with a rich collection of one fashion history’s more intriguing figures. 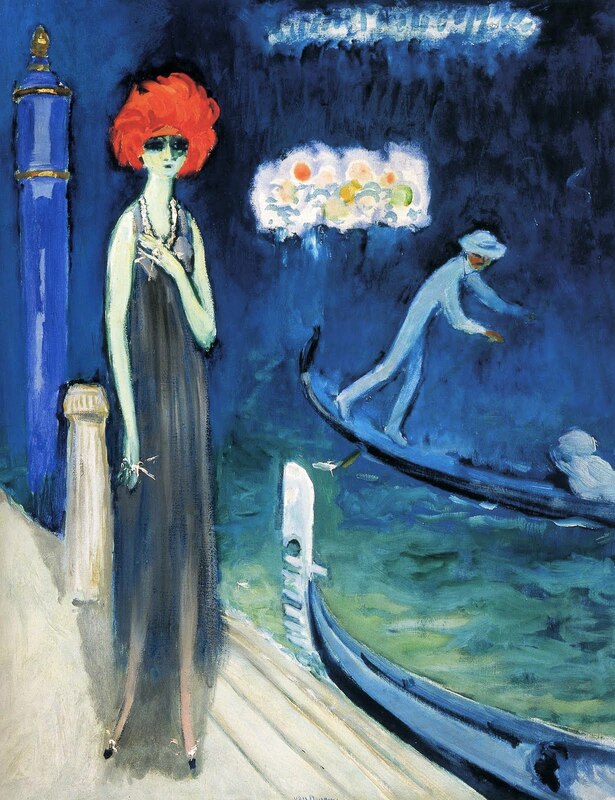 Marchesa Luisa Casati in The Quai, Venice by Kees van Dongen, 1921.